Stepney Green is where the east and north-eastern lines join to run west. A number of sites were excavated here in advance of the construction of an access shaft and huge underground cavern. 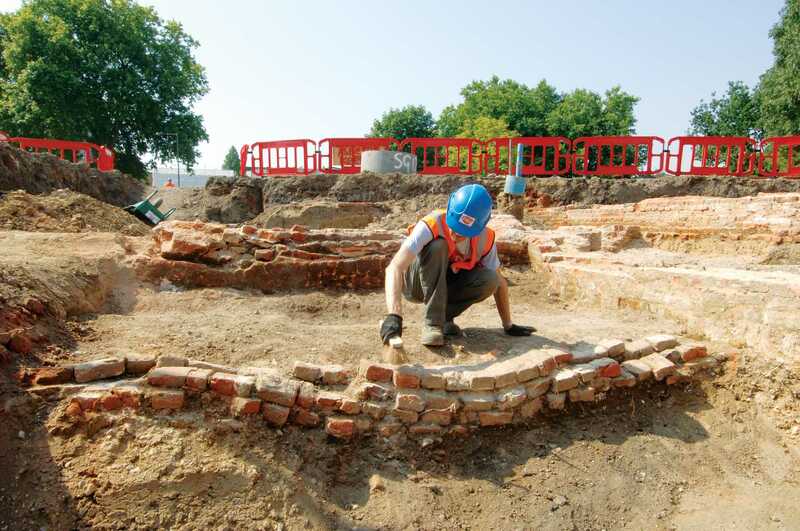 In January 2011, archaeologists uncovered the remains of Worcester House, a manor house constructed by the Marquis of Worcester in 1597 and remains of several other important buildings that occupied the east end of Stepney Green over a 500 year period. These sites lay to the west of the church of St Dunstan and All Saints, Stepney and included part of Stepney City Farm. The access shaft and huge underground caverns constructed at Stepney Green are some of the largest soft-ground caverns ever constructed in Europe. 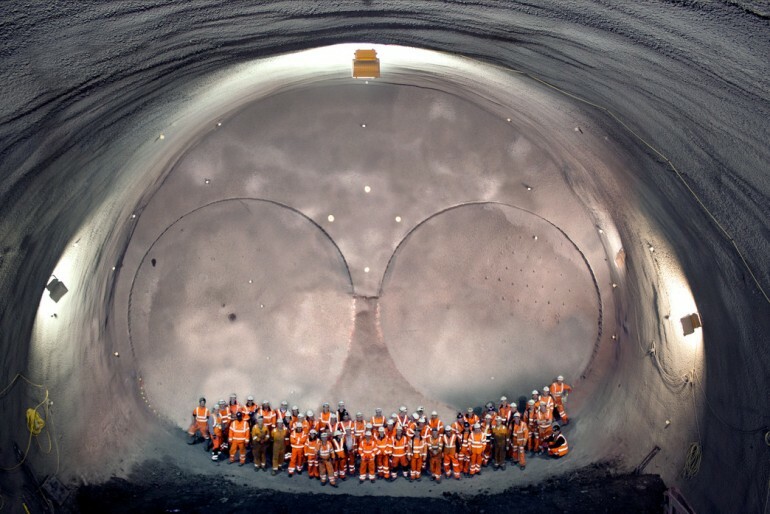 Approximately 50 metres long, 17 metres wide and 15 metres high, the caverns were built in advance of the arrival of four of Crossrail’s tunnel boring machines – Elizabeth, Victoria, Jessica and Ellie. To construct the cavern, the team had to excavate 7,500m3 of material and apply 2,500m3 of shotcrete (sprayed concrete) to the walls. Stepney Green will have a critical role to play when the Elizabeth line opens; it is where the railway divides with the southeast spur running underground to Plumstead and then onto Abbey Wood via Canary Wharf, and the north east spur running underground to Pudding Mill and then onto Shenfield in Essex.